Zytech Solar, the solar engineering company that manufactures solar panels and appliances running off solar power, has announced that it has been awarded by AlwaysOn as one of the GoingGreen 100 Top Private Companies in 2007, included among the winning 20 solar high-tech companies like Zytech, are Nanosolar, Stirling, etc. The company gained meritorious placement among the winners of this year’s GoingGreen Top 100 awards, thanks to its “outstanding starting performance” as a new business in the “Green” renewable energies industry. In the three-day event hundreds of companies were nominated by top venture capital firms and a wide breadth of green technology insiders, The 100-list winners were honoured at this executive summit that was presented in conjunction with the University of California, Davis, Graduate School of Management over the days between September 10 to 12, 2007. Only those firms demonstrating excellence in five primary evaluation criteria were listed: innovation, market potential, commercialization, stakeholder value creation, and -media buzz-. 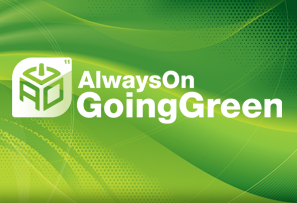 AlwaysOn’s GoingGreen 100 is a list of investment-hot private companies implementing environmentally friendly technologies, touted as firms that are making it possible and profitable for big businesses to go green. The GoingGreen Conference further titled Zytech as, “demonstrating significant market attraction and pursuing game-changing technologies”. This is the first such event Zytech has engaged in. “We are more than delighted to be recognized by AlwaysOn and be listed alongside the other GoingGreen top 100 companies” said CEO Enrique J. Zueco. “The core vision of our company is to offer innovation with simplicty, enabling new clean working products, processes and profitability”. Zytech produces photovoltaic modules (standard and concentration PV) as well as CSP systems and Solar collectors. The GoingGreen selection team – led by EcoWorld’s Ed Ring – vetted companies looking at those using real science with solid business plans. The wider purpose of the three-day event was to identify and debate emerging trends, build high-level relationships and create new business opportunities for all green-tech professionals. The conference included panels and live debates, plus CEO presentations by greentech companies from around the world. Among these was Zytech’s contribution from the company’s US-based engineer David Scott Lewis, who chaired a panel on advanced manufacturing and MEMS – Micro-Electro-Mechanical Systems. MEMS is the integration of mechanical elements, sensors, actuators, and electronics on a common silicon substrate using microfabrication technology. Zytech, as a Spanish holding company has its headquarters in Zaragoza, Spain, offices in Germany – research, Hong Kong and California, and a China – manufacturing plant. Zytech mainly operates in the field of solar engineering and innovative appliances powered by renewable energy.